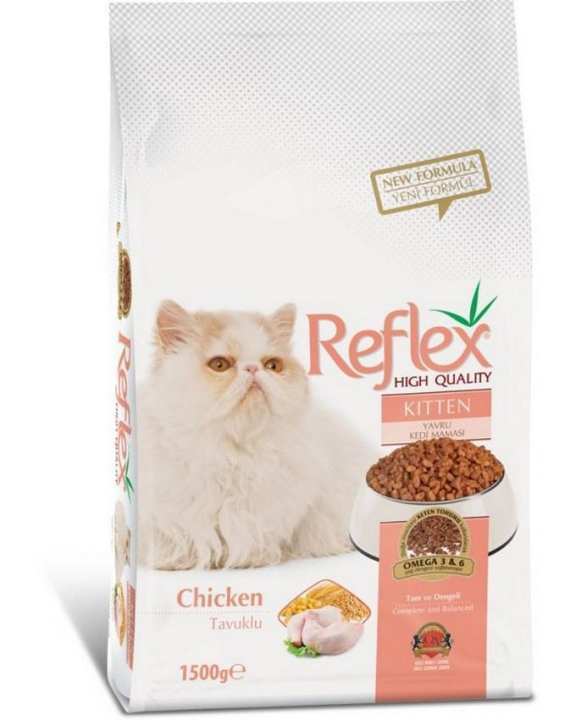 Reflex Kitten Chicken, an especially formulated complete and balanced premium food including chicken protein to meet the nutritional requirements of kittens for optimum growth. the product is original and cat loved it but, I saw it includes ham protein, which in Islam not considered prohibited to spend on. I hear that haram (ham etc) can be feed to pets but if its free of cost. Allah knows best. my kittens always leave their cat food but they have eaten this by far the most. kitten wale me hi sterlised fish hai? ?